The goings-on of the hitherto staid Anglican Church of Sri Lanka have caused some controversy. It started when the good old Church of England, euphemistically called the Church of Ceylon, passed a revolutionary resolution. 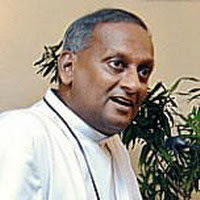 Tabling a complexly-worded document, the head priest of the local Church of England, the Right Reverent Duleep de Chickera justified what he called a fundamental “paradigm shift” as a necessity for the church “in the context of the present post-modern political, social, economic and cultural reality in Sri Lanka. With this move, the stuffy old colonial Church of England went radical and turned itself into a Marxist Jesus Community, that is to say, they adopted Liberation Theology. Indeed! It is hard to see these folks ever becoming what Bishop De Chickera is asking them to become, a traditionally privileged elite going down to the slums to work for the poor. More likely they would limit their activities to charity events well away from the stench and ferality of the slums. Liberation theology is a school of theology that focuses on Jesus Christ as not only the Redeemer but also the Liberator of the oppressed. It emphasizes the Christian mission to bring justice to the poor and oppressed, particularly through political activism. Some elements of certain liberation theologies have been rejected by the Catholic Church. In essence, liberation theology explores the relationship between Christian, specifically Roman Catholic, theology and political activism, particularly in areas of social justice, poverty and human rights. The main methodological innovation of liberation theology is to approach theology (i.e. to speak of God) from the viewpoint of the economically poor and oppressed, because the poor are a privileged channel of God's grace. According to Phillip Berryman, liberation theology is "an interpretation of Christian faith through the poor's suffering, their struggle and hope, and a critique of society and the Catholic faith and Christianity through the eyes of the poor." Emphasis is placed on those parts of the Bible where Jesus' mission is described not in terms of bringing peace (social order) but bringing a sword (social unrest), e.g. Matthew 10:34, Luke 22:35-38 and Matthew 26:51-52. Liberation theology also emphasizes what proponents describe as individual self-actualization as part of God's divine purpose for humankind. In addition to teaching at some Roman Catholic universities and seminaries, liberation theologians can often be found in Protestant-oriented schools. Liberation theology is only partially compatible with the official view of Catholic social teaching; large portions of it have indeed been rejected by the Vatican. Most of the objections by orthodox Catholic critics are leveled at its close affiliation with Marxism, specifically forms of dialectical materialism, and some tendencies (represented by Camilo Torres, Jean-Bertrand Aristide, and Ernesto Cardenal for example) to align with revolutionary movements.In effect, Sri Lanka’s Anglican Church has adopted liberation theology. Liberation Theologian Fr. Tissa Balasuriya, a local Catholic priest who made an attempt to adapt his church to the local realities, was excommunicated as a heretic by then Cardinal Joseph Ratzinger, Prefect of the Congregation for the Doctrine of the Faith, better known as the Holy Office of the Inquisition. Cardinal Ratzinger is now known as Pope Benedict. Cardinal Ratzinger fulfilled his institutional role, defending and reaffirming Catholic doctrine, including teaching on topics such as birth control, homosexuality, and inter-religious dialogue. During his period in office, the Congregation for the Doctrine of the Faith – formerly the Office of the Holy Inquisition, yes, that dreaded one which burnt heretics and a whole heap of witches and sundry subversives at the stake – took disciplinary action against some outspoken liberation theologians in Latin America and Asia, condemning liberation theology, accusing it of Marxist tendencies. Some, like Leonardo Boff, was suspended, while others like Balasuriya was excommunicated as a heretic. Other issues also prompted condemnations or revocations of rights to teach: for instance, eleven years after his death, the writings of Indian Jesuit priest Anthony de Mello were the subject of a "notification" – the notice did not condemn all of De Mello's works as heretical, but noted that many of them, particularly the later works, had what Ratzinger and his fellow inquisitors interpreted as an element of religious indifferentism (as they saw it, De Mello held that Christ was "one master alongside others"). Balasuriya denied the charge of denial, and fought a long battle against the Office of the Inquisition which excommunicated him for heresy. What he tried to do was to harmonize the Catholic Church in the multi-religious Sri Lanka by, among other things, doing away with its superiority complex. 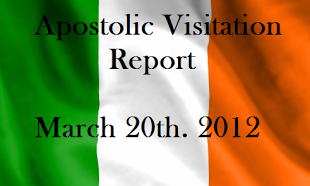 Finally, thanks to the agitation by fellow priests exclusively in the non-white world, and his own abject pleading, Fr. Balasuriya was reinstalled with a full pension. Regrettably, in the recent past, Fr Balasuriya has also made what could be seen as overt gestures of solidarity with the Tigers, expressing tacit approval of their cause, in true liberation theologist style. But back to Bishop de Chickera. Was Rt. Rev. Chickera’s liberation theology approved by the English queen? The British monarch (at present, Elizabeth II), has the constitutional title of "Supreme Governor of the Church of England"; the Canons of the Church of England state, "We acknowledge that the Queen’s excellent Majesty, acting according to the laws of the realm, is the highest power under God in this kingdom, and has supreme authority over all persons in all causes, as well ecclesiastical as civil". The Anglican Church hierarchy then structures under the reigning British monarch, from the next-in-command, the Archbishop of Canterbury down to the Bishops and parish priests of England’s former dominions. It would be interesting to learn whether the radical move of the Bishop of the Anglican Church in Sri Lanka was sanctioned by his English superiors or whether it was a subversive local move. At the meeting, the Right Reverend Chickera sprung a surprise on his flock by announcing that the wine they had been imbibing at Eucharist over the previous few weeks had been made in Kilinocchi, the Tiger’s lair. Needless to say, the announcement would have made some Anglicans gulp. But the good man saw nothing bad about this. In fact, he said that his intention was to make all the Anglican churches throughout the country use Kilinocchi wine for the Eucharist. “That’s the challenge,” he said. Some people don’t see anything wrong with the Sri Lankan head of the Church of England using wine made in Kilinocchi for their rituals. It’s better to use local than, say, Australian or French wine, save some forex, support Vanni agricultural industry, they say. Also, the Christian priests in the north have had a long reputation for making excellent wine. This should not be seen as a treacherous move by the local chief priest of the Church of England, some say. They see it as a unifying move. The proclivity of Liberation Theologians to align themselves with revolutionary movements, especially in South America, is well documented. The subversive support by prominent churchmen for the Tamil Tigers, notably the Catholic Bishop of Mannar, Rayappu Joseph, is also well known. The Tigers portray themselves as revolutionary liberation movement, although, the Tigers merely resemble a liberation movement; I doubt whether Prabhakaran has read Karl Marx. I know he had watched Clint Eastwood and has most likely taken a page out of Pol Pot’s book. However, the Tamil Tigers and Liberation theologists do have certain things in common. Like liberation priests, the Tigers do not much care for peace (social order) but in bringing a sword (social unrest). I don’t know whether Prabhakaran reads the Bible, but he certainly is a man who carries arms, made a call to arms a long time ago, and unleashes mayhem whenever he feels like it. As I explained above, liberation theologists interpret passages of the New Testament as a literal call to arms, to carry out what proponents see as a Christian mission of justice. Now, by imbibing the Killinocchi-fermented wine for their Eucharist, the Archbishop seems to be making a symbolic statement of solidarity with the armed-to the-teeth rulers of the Vanni whose religion is violence. Could it be that the Right Reverend Chickera is a bit too intoxicated with the Vanni wine? I would advise some sobriety and, ideally, some sober reflection on these dangerous and devious times. It might then dawn on the good prelate that it is hazardous to dance to the tune of the devil who rules in Kilinocchi. It could lead to more than a paradigm shift. All hell could break lose. It could even miff the crowned head of his church in the form of Her Majesty the Queen of England, whose government has proscribed the ruthless gang in Kilinocchi as a terrorist organization.